Every now and then, I would be receiving comments and reactions from my friends and acquaintances over social media about how they feel envious about our travels that they too wanted to do the same, that we are so-called "rich" because we get to go to different provinces, islands and even go on plane rides and just be living life to the fullest. It is true indeed that we can't control what people think. A random post I found on Facebook stated that every user should not be posting their travels and any fortunate events happening with their lives because it creates this jealousy, self-pity and all of these negative feelings the audience would be seeing on their timelines. I, on the other hand, felt really bad about this, how can someone feel jealous instead of becoming happy in the sight of their friend or their family member enjoying life! Life has to be celebrated and traveling is one of the means of doing so. Posting them on social media is definitely not a "bragging" thing, perhaps to some, it may apply but if you know who's who for sure! In today's blog, I would like to provide a list of reasons as to why some people do not or can not travel. I have five reasons here, note that this is just my own opinions based on my experiences and observations amongst my friends and family members. Statistics show that traveling gives more fulfillment in life, most of those who are happy individuals are those who travel so with all these articles coming out and scientific as well as medical publishing showing a huge difference in terms of the personal outpost of the individual. But there are people who are just stating it is good to travel but would be discouraged because they excuse themselves due to the budget issues! This is totally an unacceptable excuse for me because there are definitely many ways to keep your travel budget up! Saving is one, there's finding seat sales on airlines and most importantly, anywhere can be a travel goal! Your neighboring town may have this spot which you had firstly discovered! Every place has something to offer. Traveling is not just about going to the beach for summer or trekking the mountains or reaching to the topmost part of the world. Traveling is not specific to being transported via an airline, it is focused on learning something new from this spot or the new town. So anyone can just pay a hundred peso entrance fee of this neighboring town's resort or an amusement park, learn and indulge yourself with something new to your system! That's already traveling! Don't give the no-money-excuse! Also, saving is part of the game. Do not ever give the excuse that you are short this time so you can't travel, there should always be a budget for everything and saving first before you hit the road! Did you know that fear is just a psychological thing? There are a lot of things that we fear of which are not really real, that they are just made of the mind and most of them aren't going to happen at all at least in your lifetime! Last Sunday, when we were in the provinces, my mother in law talked about her fear of being alone during her commutes. She is not confident being alone in a bus or even in a ship, most especially in an airplane. As such, she has never taken a boat, a ship or even a plane! She has never moved from Cebu province all her life, perhaps the only place she had visited is Oslob, the neighboring towns, and Cebu City, that of which she could travel via a bus with a companion. I realized that fear indeed has become a string that pulls us into our comfort zone, it becomes a huge block for us to see the world. Just because we have this uncertainty of what will happen to us when in this situation, we tend to stop ourselves from enjoying and experiencing the beauty of the world. Although I know that there are really other individuals destined to stay in one place, developing fear shouldn't be a reason to be a part of that group. Again, fear is most likely just in the mind. If you are afraid of being alone in a bus or in a vessel, find someone who can be brave for you, join group travels, have a travel partner, that person whom you trust the most. There's a great possibility that you'll finally overcome that fear once you try it. My colleagues had been asking if they could join me during one of my travels, I answered them definitely! And then I would pretend to give them specific responsibilities like researching but unfortunately, they aren't willing to do this. Part of the advantages of traveling in this age is the presence of the internet. The web had provided almost everything we needed to travel. From the routes to the hotel bookings, to the entrance fees, to reviews and DIY reminders, that's all laid out for everyone to see on the world wide web. There's no reason to be left out there wondering what or where should you go or do when you arrive in that place because you can plan your trip ahead of time, create your itinerary and prepare necessary budgeting. Traveling these days is easier and I can vouch for that. It would only take a whole lot of research prior to stepping out. Just be willing to spend hours on finding the best route, the best rooms and the perfect spots to be at in your itinerary. This can somehow be related to the second reason, there are also people who have become very dependent on their travel buddy or their group of travelers. Whilst it is definitely good to travel in a group, there's a different sense of fulfillment when traveling alone. An acquaintance from another social media told me that when he traveled alone, he found a deeper understanding of himself, he felt different and he loved it! True enough, traveling solo and with a group are two diverse scenarios, in the latter, you can depend on your group but when you go alone, you have all the responsibilities to yourself, no one will help you carry your baggage, no one will tell you where to go unless you ask some help from the locals or another traveler you met along the way. But then, there's a good reason to travel alone and it is very recommended. On the other hand, my husband and I would never travel solo differently from each other except if there's a huge reason behind. Simply because we are already a responsibility of each others', as husband and wife, we submit to each other and we can't be leaving one behind. Again, traveling solo is a choice! Two of my new colleagues are really into K-Pop and anything Korean, they want to also go to Korea this year, they said they want to book affordable tickets. There have been several seat sales for the past months and I had been informing them about it. The latest one was from a week ago, they were ecstatic of the fact that there's a very cheap ticket available for their estimated date of departure. So they tried booking it. Unfortunately, the odds were against them as they encounter errors when booking, the sad thing was that they surrendered in less than an hour of trying. I can sense they lack patience. 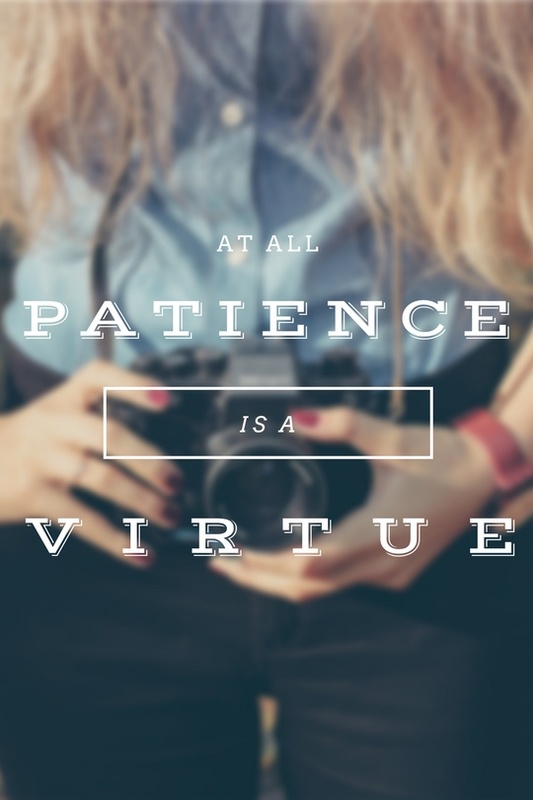 Patience is always a virtue and it applies to every single step when traveling, from booking air tickets to the research, to even finding the best hotel room even to the time of travel, there's a lot of waiting and if you are not patient enough, the problem arises, you might surrender along the way. So having this virtue is necessary when you want to go traveling. Be at peace with this specific virtue and learn your way to be patient yourself and for sure you'll end up in your top list travel destination! That's my top five reasons why some do not travel and can not travel. Are you guilty too of this list? whattt? @InX_GL i am a bit scared with what you mentioned.. can you explain further? @jean-beltran huhu..how I wish that "someday" is today.. I consider it as a motivation. I am working towards the improvement my online activities so that I could also do what I want.